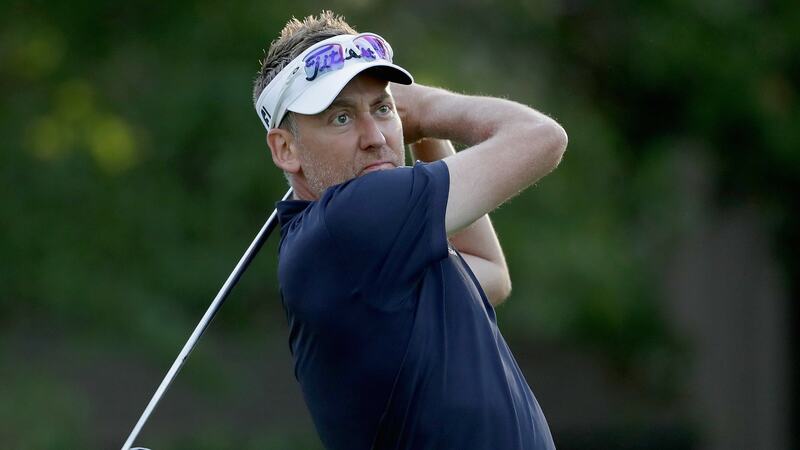 Ian Poulter has dug himself an early hole at the Valero Texas Open in his last-ditch effort to keep his PGA Tour card. Poulter is making the 10th and final start of his major medical extension this week, an added opportunity that stems back to an arthritic foot injury that cost him much of last season. He nearly satisfied the terms of the extension last week at the RBC Heritage, but a final-round 73 left him $30,624 shy of his goal. That means he must finish in a two-way tie for 36th or better this week at TPC San Antonio, where he tied for 37th in 2013 in his lone prior appearance. But those hopes were dimmed dramatically when the Englishman opened with a 3-over 75 that featured just one birdie and left him nine shots behind Branden Grace. Poulter bogeyed each of his first two holes Thursday, taking two swipes from a greenside bunker on No. 10 and hitting his tee shot on No. 11 into a native area. He didn’t make a birdie until the par-5 eighth hole, his 17th of the day, by which time he was well off the pace. Poulter enters the second round in a tie for 128th, with only the top 70 plus ties making the 36-hole cut. Should he fail to meet the terms of his extension, the 41-year-old will be left to play the remainder of the season on past champion status and will still be eligible to receive sponsor exemptions. Regardless of this week’s outcome, Poulter is already entered into next week’s Zurich Classic of New Orleans, where he will pair with former U.S. Open winner Geoff Ogilvy.